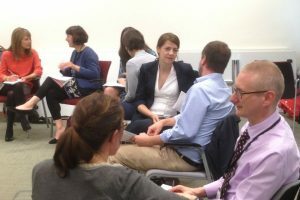 The Civil Service Job Share and Alternative Working Network (CSJSAWN) was set up this year. We support the objectives of the Talent Action Plan 2016 in a variety of ways. The network is an evolution of the original Civil Service Job Share Working Group formed in 2013. That group had been tasked by the cross-departmental Heads of Diversity Group to promote job sharing and set up a way for civil servants to find job share partners, across departments. Up to this point, some departments were keeping their own job share registers. For others, nothing was available. 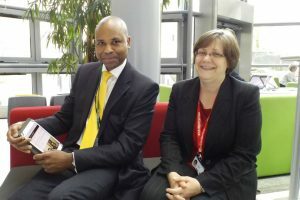 One of our first steps was the Civil Service Job Share LinkedIn group. 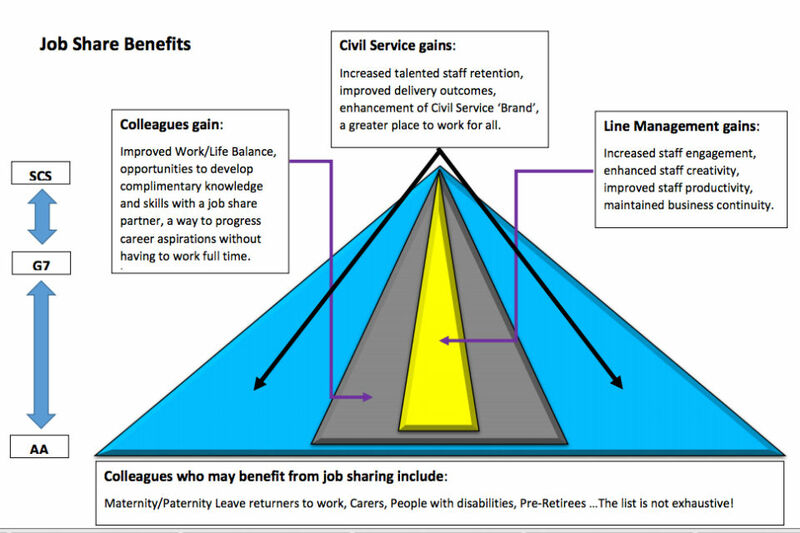 We also began work with Civil Service Employee Policy (CSEP) to develop guidance for job sharers and their line managers - and this was launched in January 2015. In 2014 we started working with Civil Service Resourcing on the development of the Civil Service Job Share Finder online tool that helps colleagues find job-share partners. Brian Stanislas a Civil Service Resourcing Product Manager and member of the CSJSAWN, successfully delivered the site in March 2015. Brian has been relentless in his promotion of the Job Share Finder continues to make improvements to the site. More than 1,300 colleagues (AA to SCS grades) have signed up to the service and we are particularly pleased that 18 of the 23 colleagues who have found job share partners and taken up new posts with them are women at G7, G6 and SCS grades, supporting the development of the female SCS talent pipeline, as recommended by the Hay Group’s Women in Whitehall report 2014. More job share partnerships are being formed as site users progress profile searches, initiate conversations and get to know each other over months of using the site. We have published many stories of colleagues who have benefited by finding job share partners, from ‘Job sharing at the Ministry of Justice’ in 2013, to ‘Mutual trust and respect – the secret of successful job sharing’ in March 2016. In addition to supporting gender equality, the benefits of job sharing are also being explored by colleagues who align to other groups (e.g. 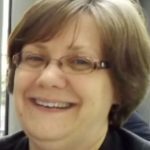 people with disabilities), by carers and older colleagues progressing phased retirement activities. One thing we have found is that Job Share Finder works more effectively with ‘speed networking’ events, which allow individuals to meet face-to-face in an organised event and to see if they are compatible. We have run a number of these events, some focused on grades and some on specialisms. 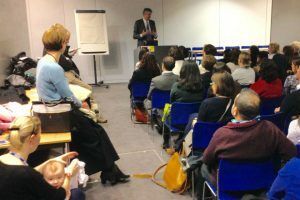 In February, the third Cross Civil Service Job Sharing event took place in London, with the opening address delivered by DECC Permanent Secretary Stephen Lovegrove - even some staff on maternity leave came in to take part. If you are interested in running a job share event in your area, please click here to contact the network and we will help by sending messages to those on theJob Share Finder in your area. Look out for speed networking events advertised on our blog site and also look for us at this year’s Civil Service Live event in London. And if, after reading this, you decide to look for your ideal job share partner, we would recommend that you sign up to the Civil Service Job Share Finder. It’s a really worthwhile first step to take.